The Christopher Chronicles 2.0 is available now! The Christopher Chronicles 2.0 continues to be a sweet and funny, coffee table/bedside book of laughs! Per Christopher, this is a "delectable" update. For anyone who needs a bright spot in their day, just flip to a page. 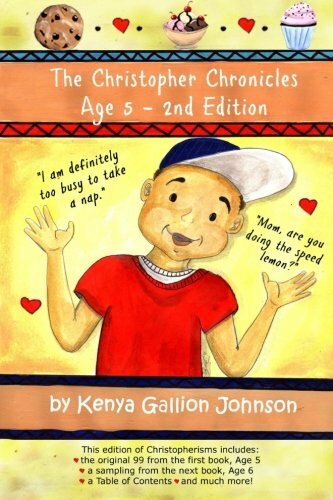 The "Christopherisms" are humorous narratives from a kids point of view, all recorded by "mom" while managing to keep a straight face. This update contains over 200 "Christopherisms" from ages 6 to 10. 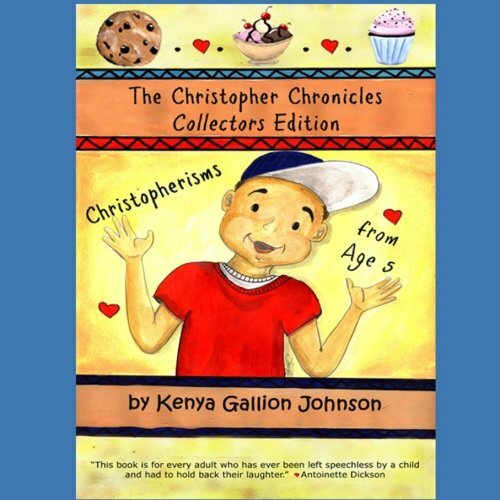 The Christopher Chronicles is a comic relief series of books filled with funny quotes and anecdotes that are one of a kind out of the mouth of babes "Christopherisms". These books are designed with the best intentions to warm your heart, and make you smile. Signed, sealed and delivered, w/ bookmark! Includes FREE shipping on one book per address! T his is the 2nd edition of The Christopher Chronicles (TCC). This reformatted edition includes the original 99 "Christopherisms" and much more! "Priceless Gems! A Must Read for Anyone!" 5.0 out of 5 stars A+ Must-Read Book! 5.0 out of 5 stars Hilariously funny! 5.0 out of 5 stars Fun, lighthearted must-read! 5.0 out of 5 stars Awesome Book! Anyone who needs a bright spot in their day - just because.